David Cochrane is the founder of Cosmic Patterns Software, Inc., the company that makes the Kepler astrology software program. He also founded Avalon College and the Avalon School of Astrology, and is author of the book Astrology for the 21st Century. He was born on May 1, 1949, at 4:26 a.m. in East Meadow, New York. Cochrane started a practice as an astrologer in 1973 in Gainesville, Florida. For eight years he was a full-time astrological consultant and he taught astrology classes in the evening. During this time, he also developed astrological software that ran on an IBM mainframe computer to produce computations in harmonic astrology and cosmobiology. He also developed a computerized forecast program based on transiting midpoint structures. 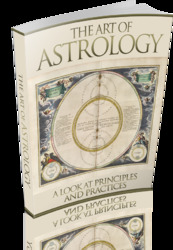 In 1981, Cochrane dropped his consulting business and began full-time work developing astrological software. In 1983, he found Cosmic Patterns Software and devoted himself to astrological programming. By 2000, Cosmic Patterns had grown to a staff of six full-time workers, four computer programmers, and two people who operated the company. Avalon College started out as a feature within the Kepler program, and then developed into a school that offers training in astrology. Cochrane is internationally recognized for his contributions to astrological software, including many innovative concepts, such as treasure maps and integrated analysis and interpretations based on an integration of harmonic theory and cosmobi-ology. The Kepler program is widely recognized for its extraordinary comprehensiveness and flexibility. Cochrane, David. Astrology for the 21st Century. Gainesville, FL: Cosmic Patterns, 2002. Cosmic Patterns Software. http://cosmic.patterns.com.